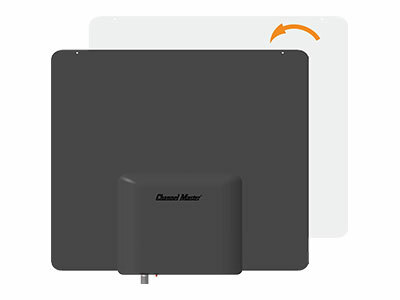 Combines two antennas to receive broadcast channels from two different locations. Outdoor Matching Transformer Deluxe for use indoors or outdoors, which allows you to connect coax cable to an antenna. 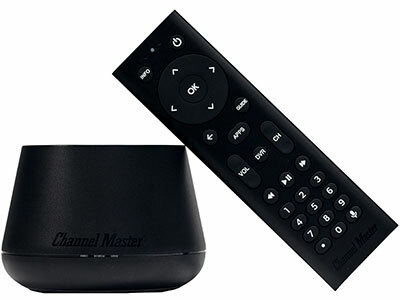 The Channel Master TV Antenna Lightning Surge Suppressor is designed to protect electrical devices by limiting electrical surges that can damage electronic equipment. 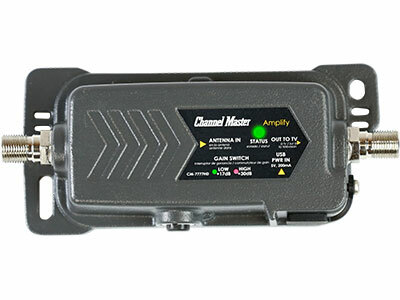 Outdoor Matching Transformer for use indoors or outdoors, which allows you to connect coax cable to an antenna. High Speed HDMI cable with Ethernet channel for optimal video performance. 3’ RG6 Coaxial Cable with Connectors. 6’ RG6 Coaxial Cable with Connectors. 12’ RG6 Coaxial Cable with Connectors. 25’ RG6 Coaxial Cable with Connectors. 50’ RG6 Coaxial Cable with Connectors. 75' RG6 Coaxial Cable with Connectors. 75’ RG6 Coaxial Cable with Connectors. 100’ RG6 Coaxial Cable with Connectors. Apparatus for installing an antenna mast on a roof or in an attic, up to 1.5” in diameter. Apparatus for mounting an antenna mast to a chimney, up to 1.5” in diameter. Heavy duty steel tripod mount, up to 1.75” in diameter. The U-Bolt and Nest Assembly is used to secure a TV antenna to a mast up to 1.5” in diameter. The 3” Heavy Duty Wall Mount kit allows you to attach an antenna mast, up to 2.5” in diameter, to any wall. Apparatus for mounting an antenna mast to the eave of a house, up to 2.5” in diameter. Replacement remote control for Channel Master rotator control unit. 6' Mini Coaxial Cable with Easy Push-On Connectors. 16' Mini Coaxial Cable with Easy Push-On Connectors.